Who We Are | Mechanic & Associates, Inc.
Irv Mechanic created Mechanic & Associates in 1973. He is known as one of the industry’s foremost authorities on group health plans, life insurance, disability income insurance and related products. Since the company’s inception, Irv has played an active role with the majority of New York Police organizations serving as their retirement, insurance, and pension consultant. 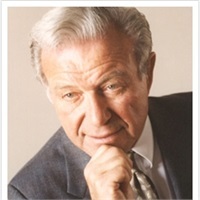 A sought-after speaker and lecturer, Irv has addressed countless groups during his long career. He has conducted pension seminars for most of the major law enforcement organizations in Manhattan. He has been the recipient of commendations and awards from every police organization he has represented.